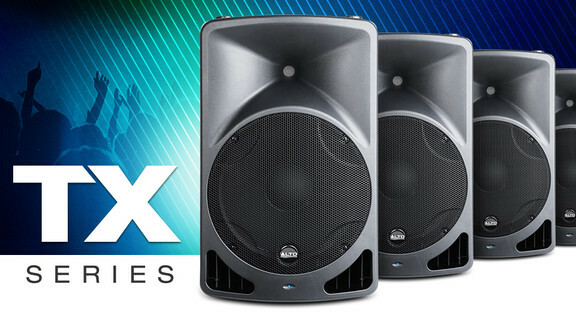 Alto Professional has introduced the TX series, a new line of two-way, active loudspeakers. Engineered from the ground up to be simple and powerful solutions for musicians and performers, the TX series incorporates core technologies from the Truesonic line to deliver unprecedented sound quality for live sound applications. Each TX model features a bi-amplified design, Class-D power, high-efficiency drivers, resonance-reducing durable trapezoidal multipurpose enclosures, and rugged steel grilles to provide accurate, transparent sound in a lightweight design.